I was surprised to see a sketch I did a long time ago. I can't even remember when I did it or why. I decided to color it with watercolor. 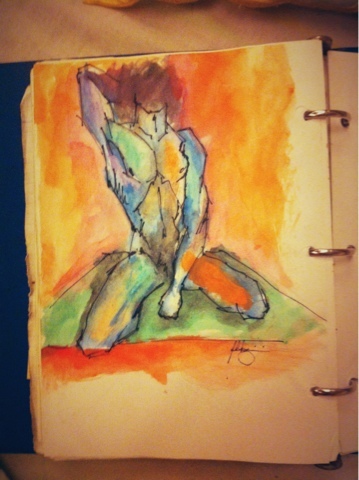 So here, an untitled work discovered from my journal.